Hello everyone, Hope you all liked my previous articles, finger cross! Lol!. Well this article is totally concerned with making money on flipkart. I know most of my readers are aware with flipkart. What is flipkart? A flipkart is one of the most popular and leading Online Shopping store of Books, Mobile Phones, Digital Cameras, Laptops, Watches & Other Products in India. This is a platform where we can say safe and secure shopping. Flipkarrt is an e-commerce online shopping store. Flipkart was establish by Sachin Bansal and Binny Bansal, both of them are from Indian Institute of Technology Delhi. Its an 24*7 customer service. 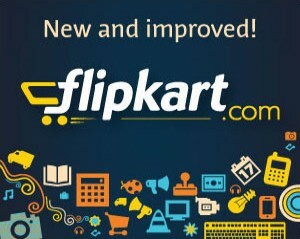 If you really want to make money then there is no better option rather than Flipkart. You can buy and sell anything on Flipkart. Here are some important tips regarding Flipkart. Hope you like it!! 1) Visit to Flipkart Affiliate Program website. 2) Create your account by signing up. 4) If you already an user of flipkart then fill your email ID and password. 5) After finishing all the steps which i mentioned above, then get a Affiliate Banner, Links, HTML Codes, for your website/blog, Buttons. Than add it in your website/blog or you may also refer your link to someone who wants to buy some Books, Mobiles, Movies etc. 6) You can also promote your Affiliate link on your various social networking sites like Facebook, Twitter, LinkedIn, Google Plus etc. Payments are possible through Cash on delivery, credit card, debit card and through net banking. 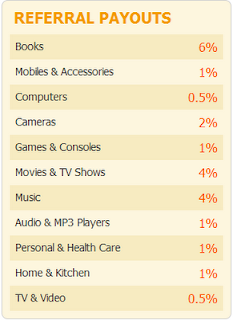 Flipkart also offer free home delivery for many of their products. Also it offer an 30 day replacement guarantee. You can also cancel your order if you wish to. Note:- "Payments are proceeds weekly or monthly deepening upon payment threshold reach". I got my first payment from Flipkart affiliate last month. I am happy to say that it is not a scam and best for Indian websites and blogs.